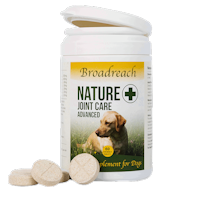 Proflax Natural’s Bone & Joint contains 80% cold pressed flaxseed oil and 20% unique herbal formula which helps to support bones, joints, ligaments and aids circulation. It is ideal for older or working dogs or those recovering from a joint injury or operation. This blend includes three ‘adaptogenic’ herbs which help to rebalance any emotion, stress or anxiety associated with a bone or joint condition. Can be used to alleviate acute conditions or as a preventative approach to support your dog’s musculoskeletal health. An adaptogenic herb that supports flexibility/mobility and has a relaxing and calming effect. A great muscle relaxant. Reduces inflammation and is a powerful anti-oxidant. Regulates the immune system. Has hematopoietic properties (positive effect on blood cells). Contains sodium and iron. Promotes good circulation and has been known to reduce high blood pressure. Reduces inflammation and helps problems associated with most joint problems and conditions. Promotes bone density. Reduces cholesterol and blood pressure. Contains vitamins B5 and B6, potassium and manganese. An adaptogenic herb that supports the immune system, relieves stress, combats against viral and bacterial infections, aids respiration and maintains good digestion. Also makes the formula taste great! 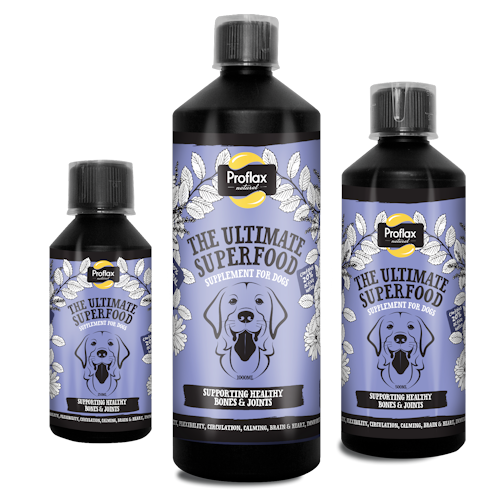 Preventative - feed 1ml to every 2kg of dog’s weight every day for one week and then reduce to the same amount fed every other day on an ongoing basis. Acute - feed 1ml to every 2kg of dog’s weight every day until the condition is under control and then the same amount every other day to support good health. For severe conditions load to 2ml to every 2kg of dog’s weight for 7 days and then revert to 1ml to every 2kg of dog’s weight. 'Get Over!' 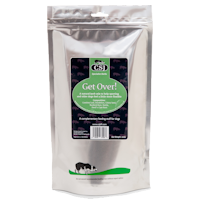 has been formulated for the very active or more mature dog that is starting to shows of old age. 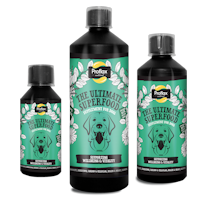 Ideal for nervous or lethargic dogs, those recovering from an operation, illness or having pups, have a compromised immune system or lack focus. Also ideal for ongoing support of general health & wellbeing.